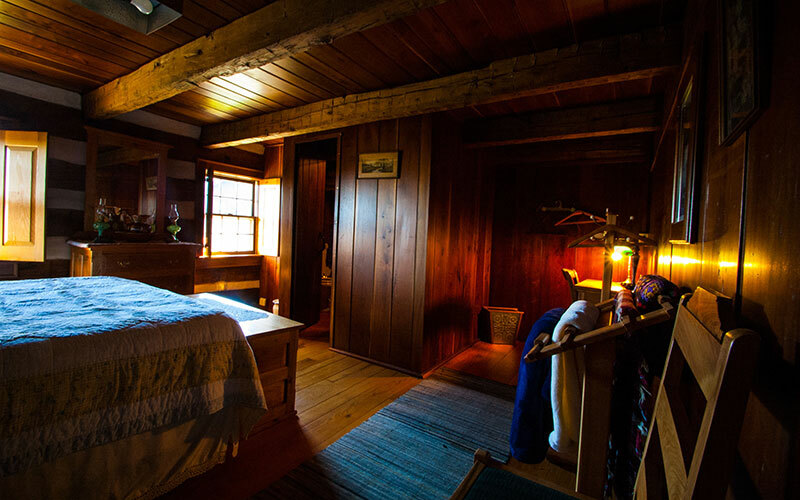 Located in bucolic Fairfield County between the towns of Canal Winchester and Lithopolis, the Ohio Log House Bed & Breakfast is both the ideal get-away and a convenient base from which to enjoy all that central Ohio has to offer. Available for $375.00 a night! 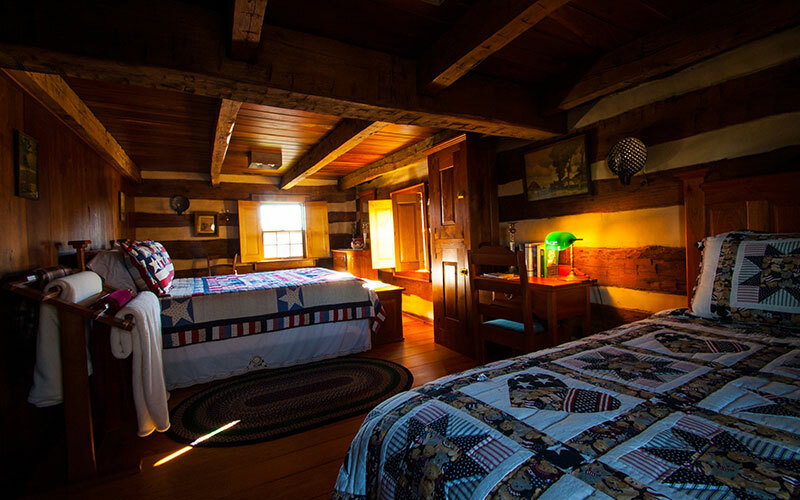 Finished in handcrafted cherry hardwood, the Cherry Room is located on the second floor and features queen size bed, antique walnut hired hand bed, cedar chest, mirrored dresser, writing desk with chair, quilt rack, clothes rack and night stand. 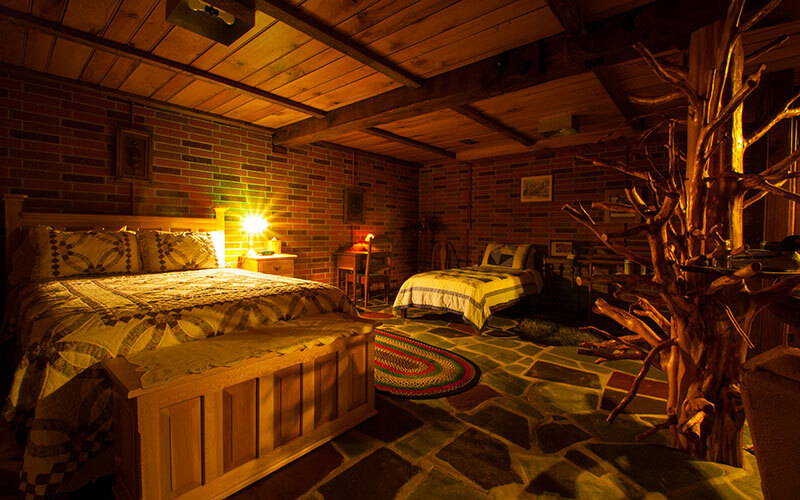 Featuring a private fireplace and sitting area the Sycamore Room includes a private bath with shower, queen and twin size beds, cedar chest, mirrored dresser, writing desk with chair, quilt rack, clothes rack, antique chest of drawers and night stand.